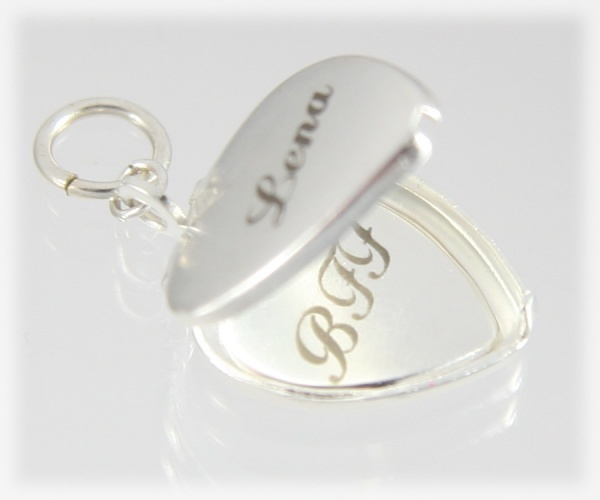 This beautiful silver locket was made from a brass core and plated in silver. The entire stock of these lockets were manufactured back in 1971. Each locket has been hand reworked into a beautiful work of art as you see. First the silver plating process, then the hand installation of the silver necklace hoop. The silver plating is durable and will not wear off. It is about the same size of a dime, and it comes ready with the necklace hoop installed as shown in the picture. The locket opens like the lid on a treasure chest rather than the typical book-opening style lockets that are seen everywhere. 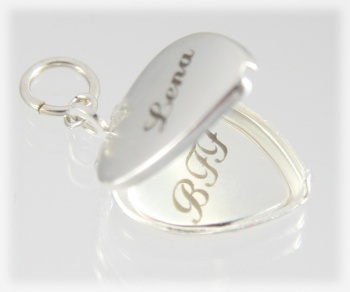 Personalize your locket by adding laser engraving.